MESC ... offering unique solutions. 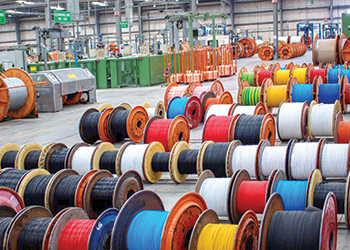 As a leading manufacturer of specialised cables, the MESC brand is renowned cross sectors and well recognised in the oil and gas, petrochemical, power generation, and commercial construction segments, says a spokesman for the company. He points out that MESC is focused on bringing value to its clients rather than just providing another commodity, adding that mega projects like those executed by its clients tend to have very special requirements that not every manufacturer can answer. “We like to be seen as business partners and not just another cable manufacturer. MESC stands out from the rest with its capability, innovation, quality and its top after-sales and consultancy support,” he says. Among the major orders it is poised to complete is the contract, awarded by Petrofac Saudi Arabia in October 2010, for the North Tank Farm and Loading Arms facilities. Another major ongoing project is the Fadhili Gas Programme FGTS (Fadhili Gas Treatment Systems) and FUIS (Fadhili Utilities and Interconnecting Systems) for Tecnicas Reunidas. Work on the project started in September 2015 and will continue till December 2019. MESC has low and high voltage cables. MESC has supplied to many Saudi Electric Company (SEC) projects, such as the Shuqaiq steam power generation project, which was part of SEC’s programme to boost generating capacity to the grid to keep pace with the rapidly rising demand for power in the kingdom. Other SEC projects are Jeddah South thermal power plant, which was completed by Hyundai Heavy Industries in March 2017; and Al Fardous Substation project that was completed in 2015 in Riyadh. For 2017, he says, although the year has its share of challenges, again with proper planning, implementation of best practice and operational excellence, the company is confident of achieving its goals. “The market dynamics are slow, but are expected to recover in Q3/Q4 with several project announcements set to boost the economy,” he adds. MESC shifted its Al Khobar branch to King Abdulaziz Street in Dammam last year, in a bid to be closer to its clients and improve its response time. Also, to further enhance its services, the company has been applying operational excellence initiatives this year to improve different areas of its operation. MESC has plants in Saudi Arabia and Jordan. Additionally, MESC is looking to expand into new areas and boost its export business to align with Saudi Arabia’s 2030 vision. It has also developed and certified the signalling cables used for the transportation sector (trains, trams and metros). 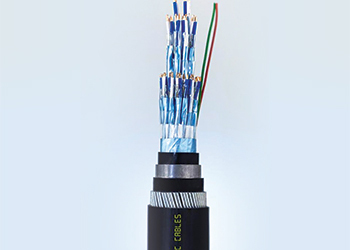 “MESC is the only VDE-certified manufacturer for these kind of cables,” Janbi points out. Furthermore, the company is tapping into the cyber world to boost its business. Janbi says: “The cables industry was always doing business in the old-fashioned way. However, of late everybody has been looking at e-commerce and digital trading, with catalogues available online, so that customers can check the product and order it. Our strategy is to try to be online as much as possible,” he says. MESC was established in 1993 in Riyadh’s Second Industrial City, Phase Three. It has three branches in Saudi Arabia in Riyadh, Jeddah and Dammam. In 2003, it acquired controlling shares in Jordan New Cable Company (JNCC) to complete its products range of low-voltage power cables. In May 2007, it ventured into the production of medium-voltage power cables by establishing a joint venture with Fujikura Company, one of Japan’s top cable manufacturers. 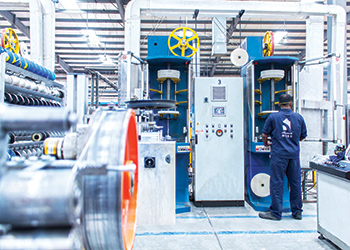 MESC Fujikura Cable Company for low- and medium-voltage power cables started commercial production in late 2008 from its production facilities covering 150,000 sq m in Mafraq Free Economic Zone in Amman, Jordan. In 2016, MESC announced the sale of its majority shares in MESC Jordan LV factory. MESC continues to provide a full range of low-voltage products through the factory in Jordan. With plants in Saudi Arabia, the UAE and Jordan, MESC is uniquely located to support all major mega projects throughout the Middle East and Northern Africa region.